We ship worldwide from Buenos Aires, Argentina. 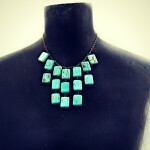 This beautiful necklace is sure to turn heads. 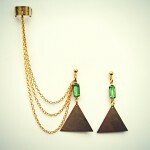 Lots of lovely square turquoise stones hang from an antique brass chain. 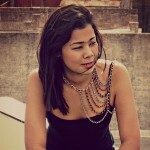 The necklace closes with a lobster clasp and has an extender so it can be made longer if you prefer.